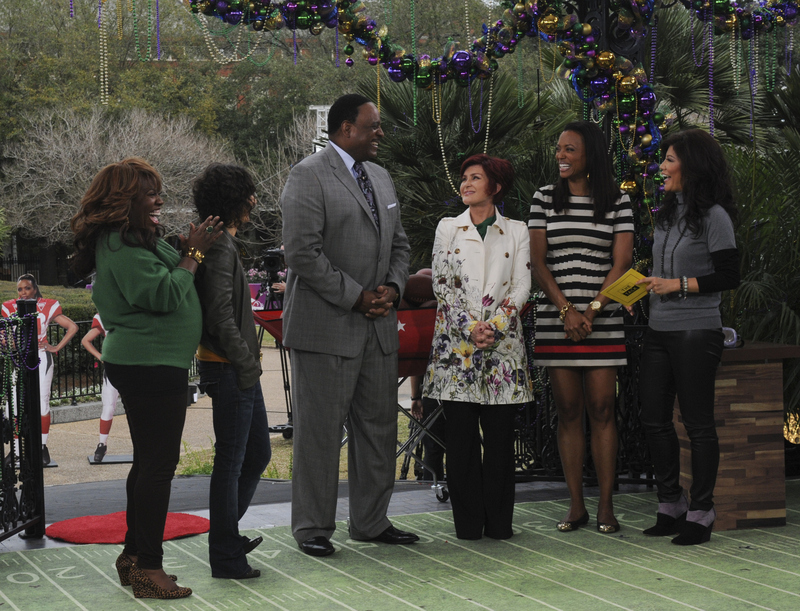 James Brown, host of CBS's THE NFL TODAY and this weekend's THE SUPER BOWL , discusses the latest Super Bowl buzz and plays a round of the game "French Quarter Quarterback," on THE TALK, Monday, January 28,2013. Sheryl Underwood, from left, Sara Gilbert, James Brown, Sharon Osbourne, Aisha Tyler and Julie Chen, shown. Photo: Heather Wines/CBS ©2011 CBS Broadcasting Inc. All Rights Reserved.